Medical science has achieved enormous breakthroughs over the past 200 years. Yet there is much we do not know about people’s vulnerability to disease and the best way of treating them. Personalised healthcare is the ideal, but in order to provide it, we need to know much more about each individual. The dream of having such detailed knowledge now seems on the verge of reality thanks to the rise of genomics – the study of our biology and health in the context of our entire genomes, the full set of genetic instructions replicated throughout most of the cells of our body. As Sir Bruce Keogh, the former medical director of the NHS, has argued: ‘As the microscope and x-rays revolutionised medicine in the nineteenth and twentieth centuries, so knowledge of the human genome will dramatically change medicine in the twenty-first century.’ The technology to do this has got better and cheaper. When it was completed 15 years ago, the production of the first ‘human reference genome’ – a mosaic painstakingly assembled from the genome sequences of anonymous volunteers – had cost billions of pounds and had taken more than a decade. Today, the whole genome of a specific individual can be sequenced for under a thousand pounds in less than a day. However, knowing our individual genetic makeup is of limited use unless it can be contextualised, both individually, with the rest of our health information, and collectively, in comparison with many other individuals. The more patient genomes we study, particularly in the context of those patients’ general health information, the better we can understand those genomes. For several years now, the 100,000 Genomes Project has endeavoured to provide such context. It was established by the UK government to sequence whole genomes from consenting NHS cancer patients, rare-disease patients and their families. The information is used both to treat those individuals and to improve our general scientific understanding, so that new tests and treatments can be developed. An explicit aim of the 100,000 Genomes Project is to transform the NHS, bringing genomic medicine into the mainstream. While that sounds uncontroversial in principle, it raises several issues in practice. For example, it involves working with private companies – some of which provide the state-of-the-art technology necessary to sequence and analyse genomes at pace and scale, and some of which use anonymised data from the Project to develop new drugs and procedures. This follows a long tradition – therapeutics and diagnostics have always been developed in the private sector before being used in the NHS. However, genomics and Big Data provide a new context for the relationship between the NHS and industry, and this needs to be be understood and consented to by the public. 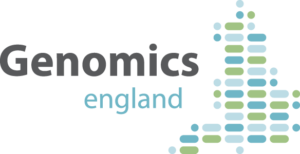 Building on the work of the 100,000 Genomes Project, this year will see the launch of a new national NHS Genomic Medicine Service. What risks, benefits and challenges are involved in this work? Can genomics revolutionise our healthcare, at a time when the state of NHS services – and how best to fund and manage these services – are the subject of heated debate? Is there a danger of overstating the benefits of genomic medicine? If we go further down this road, which public- and private-sector organisations should have access to our genomic data, and what should they be permitted to do with it?